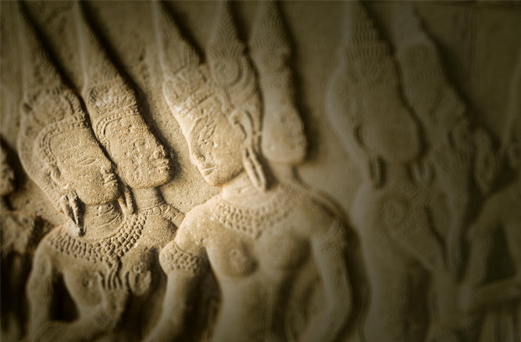 Through our productions and the visitors program we work to expose a wide and diverse audience to Cambodia’s array of unique arts and culture. We also look to increase the engagement, understanding and appreciation of the arts and culture among the Cambodian people leading to a shared sense of what it means to be Cambodian. A large factor of our Arts Education programs is to produce professional troupes. The main goal of the Performing program is to enable CLA’s young artists to make a living from their work. We also want to to raise awareness in Cambodia and worldwide about Cambodian living arts and to participate in the creation of Cambodia’s cultural sector. We work with selected teachers and artists to develop business plans that help to transform their classes into self-sustaining, professional performance troupes. We are in the process of establishing various regular performances in order to create a stustainable model for the arts. Every Thursday at 7pm until April, in front of the National Museum, Phnom Penh. In 2010, CLA established our first professional performance troupe, the Children of Bassac, a classical and folk dance troupe that has emerged from a CLA class. Led by Master Ieng Sithul, one of Cambodia’s most well-known traditional theater singers and performers, the Children of Bassac are a dynamic group of 24 dancers aged 18 to 23. The troupe was created in 2003 with young Cambodians who all live in the Bassac community, where they practice every weekend. They perform traditional & folk dances from the repertory of Khmer and ethnic minorities’ cultures. Undoubtedly one of the most professional dance troupes in the city, the artists are dedicated to make Cambodian music and dance accessible to their audience. During last year’s dry season they attracted more than 1300 spectators who combined arts with a good cause: all of the proceeds go to these young artists who come from Phnom Penh’s Bassac slum area and to the master artists who teach the group. This show gives them the opportunity to perform and earn a living from their art. Since 2008, the Children of Bassac have toured to the United Kingdom, Japan and the U.S.This December marked the start of their second season of weekly performances in front of the National Museum in Phnom Penh, Cambodia. NEW! Take your old ticket and get a new one for 50%! This also applies to all guests who have been on a list or booked via e-mail. Dinner & show package: $26/person (only adults, children can choose menu à la carte). Includes one set menu at Romdeng restaurant (creative Cambodian cuisine) at 5pm, pick-up by tuk-tuk and one ticket for the Children of Bassac performance at 7pm.